Katie Grubbs , 8 June 2015. What does it mean to have a good death? Many in our time use technology in an attempt to stave off aging or dying, or to conceal the effects of time. Elders approaching death are frequently sequestered from the rest of society, further reducing opportunities for younger people to contemplate their own mortality. Perhaps for these reasons, the modern conception of a good death usually involves a painless, peaceful death in sleep. However, it is safe to say that the prevailing medieval and early modern ideal of good death was drastically different from today’s. An entire genre of writing, the ars moriendi or “craft of dying” texts, centered on helping readers prepare for that inevitable transition. 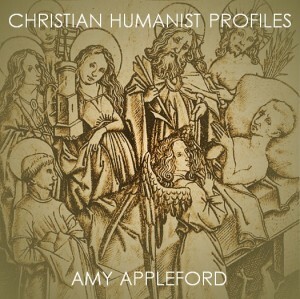 In this episode of Christian Humanist Profiles, Katie Grubbs has a conversation with Dr Amy Appleford, Associate Professor of English at Boston University, about her book on medieval death discourse and culture, Learning to Die in London, 1380-1540 (U of Pennsylvania Press, Oct 2014).